BWK524 BORG & BECK WHEEL BEARING KIT fits Honda, Rover - Front NEW O.E SPEC! HONDA JAZZ 1.4 MODEL S 02 TO 2007 WITH REAR DRUM BRAKES. Front Wheel Bearing (JE09429) - QTY:1. Failure to do so will delay your order. Any claims after 24 hours will be dismissed for a claim. REG NUMBER. 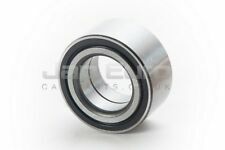 BALL BEARING FOR FRONT DRIVE SHAFT RIGHT (JE53737) - QTY:1. Any claims after 24 hours will be dismissed for a claim. Failure to do so will delay your order. Highlands, Islands and Ireland such as the following AB31 TO AB56, ON, BT, GY, HS, IM, IV, JE, KW, PA20 TO PA78 AND ON. Honda - Civic - MK VII [2000-2005] Coupe - 1590ccm 110HP 81KW (Petrol). 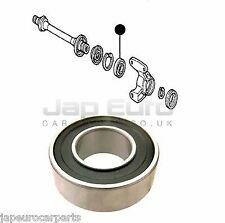 Wheel Bearing Kit - Front (JE53293) - QTY:1. Failure to do so will delay your order. Any claims after 24 hours will be dismissed for a claim. Front Wheel Bearing (JE09552) - QTY:1. Highlands, Islands and Ireland such as the following AB31 TO AB56, ON, BT, GY, HS, IM, IV, JE, KW, PA20 TO PA78 AND ON., PH, PO, ZE as well as any OFF SHORE ISLANDS. Honda - Civic - MK IX [2011-2018] Hatchback - 1597ccm 120HP 88KW (Diesel). 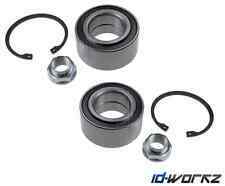 Wheel Bearing Kit - Front (JE07204) - QTY:1. Failure to do so will delay your order. Any claims after 24 hours will be dismissed for a claim. Wheel Bearing Kit - Front (JE07229) - QTY:1. Highlands, Islands and Ireland such as the following AB31 TO AB56, ON, BT, GY, HS, IM, IV, JE, KW, PA20 TO PA78 AND ON., PH, PO, ZE as well as any OFF SHORE ISLANDS. FRONT WHEEL HUB FLANGE (JE45582) - QTY:1. Honda - Civic - MK VIII [2005-2011] Saloon - 1799ccm 140HP 103KW (Petrol). Honda - Civic - MK VIII [2005-2011] Hatchback - 1339ccm 83HP 61KW (Petrol). Honda - Civic - MK VIII [2005-2011] Saloon - 1339ccm 116HP 85KW (Hybrid). Front Wheel Bearing (JE09338) - QTY:1. Highlands, Islands and Ireland such as the following AB31 TO AB56, ON, BT, GY, HS, IM, IV, JE, KW, PA20 TO PA78 AND ON., PH, PO, ZE as well as any OFF SHORE ISLANDS. HONDA Civic Mk 7 EP3. HONDA CR-V Mk I & II. HONDA S2000. all models including Type R. 2.0 Type R. to fit the following vehicles to service two wheels. Multiple orders totalling over £30 can be upgraded to this service for free provided that you notify us. Honda - Civic - MK VII [2000-2005] Coupe - 1590ccm 110HP 81KW (Petrol). 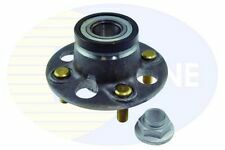 Wheel Bearing Kit - Front (JE53749) - QTY:1. Product Warranty. WARRANTY 12 MONTHS. Failure to do so will delay your order. Any claims after 24 hours will be dismissed for a claim. Wheel Bearing Kit - Front (JE07194) - QTY:1. Product Warranty. Any claims after 24 hours will be dismissed for a claim. 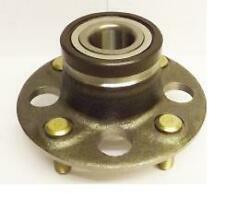 FRONT WHEEL HUB AXLE BEARING (JE07222) - QTY:1. Highlands, Islands and Ireland such as the following AB31 TO AB56, ON, BT, GY, HS, IM, IV, JE, KW, PA20 TO PA78 AND ON., PH, PO, ZE as well as any OFF SHORE ISLANDS. 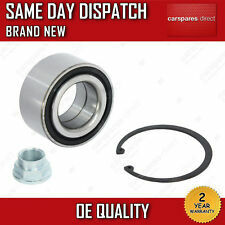 Wheel Bearing Kit - Front (JE07204) - QTY:1. Failure to do so will delay your order. REG NUMBER. Any claims after 24 hours will be dismissed for a claim. FRONT WHEEL HUB FLANGE (JE45582) - QTY:1. Honda - Civic - MK VIII [2005-2016] Saloon - 1339ccm 116HP 85KW (Petrol/Electro). Honda - Civic - MK VIII [2005-2011] Hatchback - 1339ccm 83HP 61KW (Petrol). Honda - Civic - MK VIII [2005-2011] Hatchback - 1799ccm 140HP 103KW (Petrol). 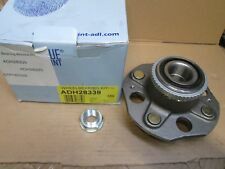 1 x OE QUALITY RIGHT SIDE HALFSHAFT BEARING ONLY FITS HONDA CIVIC 2.0 TYPE R EP3 2001-2006 ALL MODELS. HONDA Civic Mk 5 (EG / EH / EJ). from 1991 to 1995. all models without ABS. HONDA Logo. Can't find what you're looking for?. Looking to place a bulk order?. to fit the following vehicles from 1999 to 2002. Honda - Elysion - -- [2004-2016] MPV - 2997ccm 250HP 184KW (Petrol). Honda - Elysion - -- [2004-2016] MPV - 3471ccm 301HP 221KW (Petrol). Honda - Elysion - -- [2004-2017] MPV - 2354ccm 160HP 118KW (Petrol). (HONDA CR-V RD1 1997-2001. HONDA CR-V RD2 1997-2001. Confirmar que esta pieza es la adecuada para tu vehículo. 1) 2 years Manufacturer's limited Warranty. We want you to love our products as much as we do. 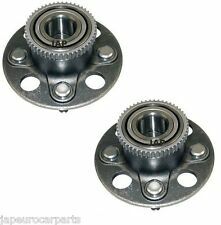 Wheel Bearing Kit - Rear (JE07216) - QTY:1. Any claims after 24 hours will be dismissed for a claim. Failure to do so will delay your order. OE MADE IN JAPAN GEARBOX BEARING AND SEAL REPAIR KIT. NTN and Koyo are the OEM Manufacturer of Gearbox Bearings to Honda Japan. Gearbox Code. Full Bearing and Seal Kit which includes the following parts. Front Arm Bushing Front Arm (JE09712) - QTY:1. Any claims after 24 hours will be dismissed for a claim. Honda - FR-V - BE [2004-2016] Hatchback - 1998ccm 150HP 110KW (Petrol). Honda - FR-V - BE [2004-2016] Hatchback - 1668ccm 125HP 92KW (Petrol). B18C, B18C6. OE MADE IN JAPAN GEARBOX BEARING AND SEAL REPAIR KIT. NTN are the OEM Manufacturer of Gearbox Bearings to Honda Japan. Gearbox Code. Honda gearbox codes are similar for multiple models. Full Bearing and Seal Kit which includes the following parts. K20A, K20A2, K20Z4. OE CLUTCH RELEASE BEARING – HONDA K SERIES. 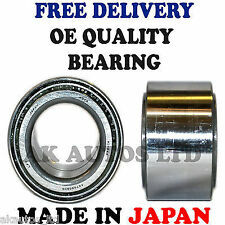 A top qualityMADE IN JAPAN Clutch Release Bearing. MADE IN JAPAN toOEM Specifications, do not confuse our bearings with cheaper Chinese and Korean Bearings. SUCH AS COLOUR FADE OR SMALL SCRATCHES. With a great range of car care and accessories to see you through all seasons. We have a vast knowledge of car spares at Wilco Direct. You May Recieve Equivalent Parts to Quinton Hazell Part Numbers . HONDA Civic Type R EP3. from 2001 to 2006. Can't find what you're looking for?. Looking to place a bulk order?. to fit the following vehicles Available at checkout for £3.99. B16A, B16A2. VTI / SEÑOR. - S9B caja de cambios del MB6 ( 1.8 Cívico VTI). Código de la caja de cambios. - S4C caja de cambios del Civic Type R EK9. NTN el fabricante OEM de la caja de engranajes Rodamientos de Honda Japón. Ejes cardán con rodamiento central Honda CR-V II RD año de construcción 2001 - 2006. HondaCR-V II (RD) año 2001-2006. cojinete central Transaxle. EL ENVÍO RÁPIDO DE DHL. y no constituyen ninguna entidad de origen. HONDA Civic Mk 5 (EJ / EH / EG). HONDA Civic Mk 6 (EJ / EK / EM). HONDA Civic Mk 7 (EU / ES / EP / EM). HONDA CR-X (Del Sol) Mk 3. HONDA HR-V Mk I. from 1991 to 1995. from 1998 to 2006. Can't find what you're looking for?. Pedido por 17:15 para el mismo día de despacho!!! Entrega rápida!!! Position on Vehicle: Rear Wheel Hub Bearing Pair. Vehicle: Honda. Year: 05/2003-12/2008. You can use us for headlights, rear lights, door mirrors, mirror glass and covers as well as a constantly developing range of performance lighting. We have gearbox experts standing by ready to help with any enquiries you may have with manual or automatic gearboxes. Honda Civic: 1.6. SKF Bearing. M32 Bearing KitBUY IT NOW. Mini MA Bearing KitBUY IT NOW. Rear Wheel Bearing Hub Kit Honda Civic 2.0 TYPE-R EP3 2.0 Sport EP2 1.7 Stream. Honda Stream 1.7 16V 2001-2007. Honda Stream 2.0 16V 2001-2007. Honda Civic 2.0i Sport 2001-2005. Honda Civic 2.0 Type-R 2001-2005. HONDA CRX 1.6 ESi (EH6) Front Wheel Drive Targa Petrol 03/1992->02/1998. HONDA CRX 1.6 i VTi (EG2) Front Wheel Drive Targa Petrol 03/1992->12/1996. We are a family run motor factors in Midlothian, Scotland. 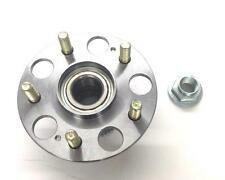 Wheel Bearing Kit - Front (JE07218) - QTY:1. Product Warranty. WARRANTY 12 MONTHS. Any claims after 24 hours will be dismissed for a claim. Failure to do so will delay your order.